He also shot dead two other men. According to a report in The Star Online, the incident happened around 7:30pm. The bodyguard, who was in the same vehicle, had taken out his gun and opened fire, killing the Datuk, and two other passengers in the car as they tried to run, NST reported. 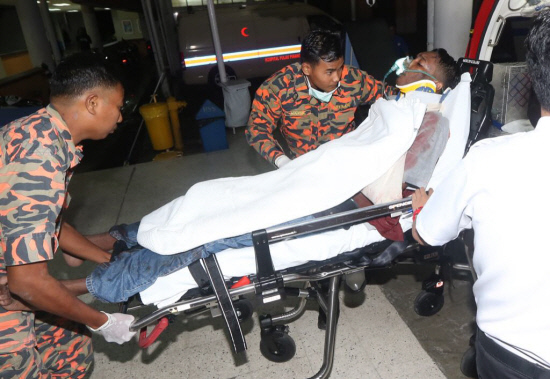 The RTM cameraman, Muhamad Amirul Amin Amir, was on his way to the Penang Pesta site with Sinar Harian reporter Mohamad Iskandar Osman on a motorcycle to cover the festival’s opening, when he was hit by a stray bullet in the left shoulder. The 28-year-old was rushed to the Penang Hospital, according to NST. Four others were injured in the shooting, one of whom, a woman, was seriously injured when she was shot. She along with other injured were sent to the Penang Hospital. Police have caught the bodyguard suspected of shooting three people dead including Datuk Ong Teik Kwong. Police are investigating the motive behind the shooting. "Investigations are being carried out for murder under the Penal Code," Penang CID chief SAC Zainol Samah was quoted as saying by the Sundaily. The Datuk, who was identified as Ong Teik Kwong, was conferred his Datukship by the Sultan of Pahang earlier this year. According to The Star Online, he was among those linked to another murder case in 2011 when a pirated disc trader was killed by parang-wielding men. More than a dozen bullets were fired at him. The suspects fled the scene on foot to escape from the police. The shooting happened at about 9.30am yesterday, 26 July. The shooting happened at about 8.15am today, 29 June. 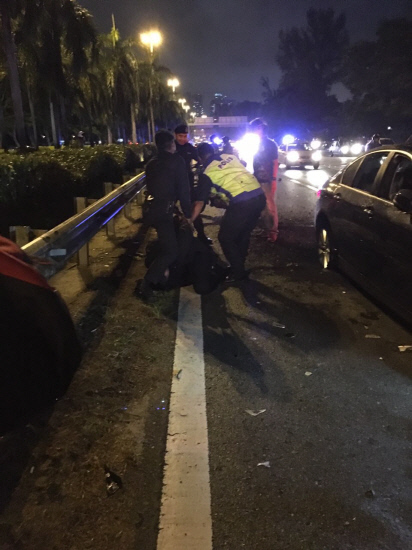 The incident occurred on the flyover connecting Jalan Jelutong to Jalan Sultan Azlan Shah.